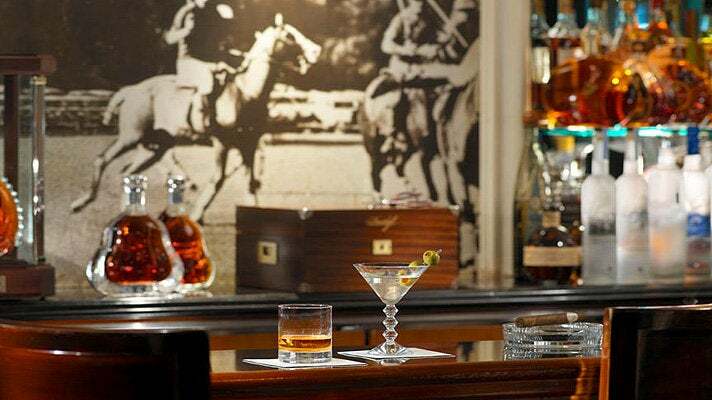 The famed Polo Lounge and Bar Nineteen 12 at the historic Beverly Hills Hotel are offering exclusive $10 happy hours twice a night, from 4:30-6:30 p.m. and 10 p.m.-midnight. Featured cocktails include the classic Moscow Mule, made with Absolut Elyx, mint, lime and house ginger beer. Another L.A. favorite, the Penicillin, is made with The Famous Grouse Scotch Whisky, honey, ginger syrup, lemon and a float of Laphroaig Single Malt Scotch. Bar bites include shrimp lollipop with chili-mango chutney, parmesan truffle fries and pork belly slider with Asian slaw and Sriracha aioli. Cafe Gratitude is a collection of 100% organic vegan restaurants that specialize in gourmet raw and cooked cuisine. 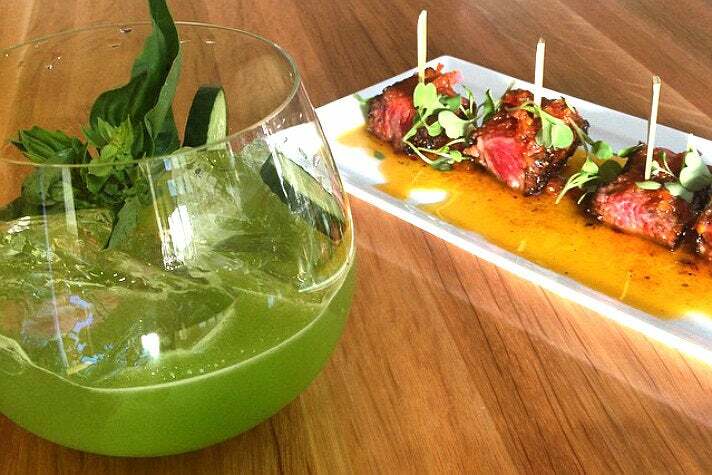 The Arts District location in Downtown L.A. is featuring its Happy Hour Week menu from 3-7 p.m. Drink options include “Sassy” (cava and house-made strawberry shrub) and “Excited,” a sparkling wine spritzer with lime, cucumber and mint. Healthy Hour options include a flight of “Health Elixirs” and “Healthy,” with kale, celery, cucumber and lemon. Vegan bites include: "Abundant" (white truffle macadamia cheese, red onion and butternut squash pickle, shaved fennel, gluten-free sourdough crostini) and "Honoring," with Mediterranean tomato preserve, zucchini cilantro hummus, hempseed tabbouleh, Kalamata olives and sun-dried tomato flatbread. The Century City location of Tom Colicchio’s Craft is offering its Happy Hour Week menu from 3-5 p.m. The drink selection includes house red and white wines for $8, North Coast Brewery’s Scrimshaw Pilsner for $5, and two $9 cocktails, the Hollywood Bowl bourbon punch or the Century City Mule with Tito’s Vodka and house-made velvet falernum. Snacks are priced at $5-10 and include: spicy pork cracklings, soft pretzel with apricot mustard, salmon rillette, pork sausage and Parker House roll, and mushroom and fontina flatbread. Take a culinary trip to Brazil at Fogo de Chão, which showcases churrasco, the Brazilian art of roasting meats over an open fire, at its original L.A. location on La Cienega and the new 8,000 square-foot space in Downtown L.A. 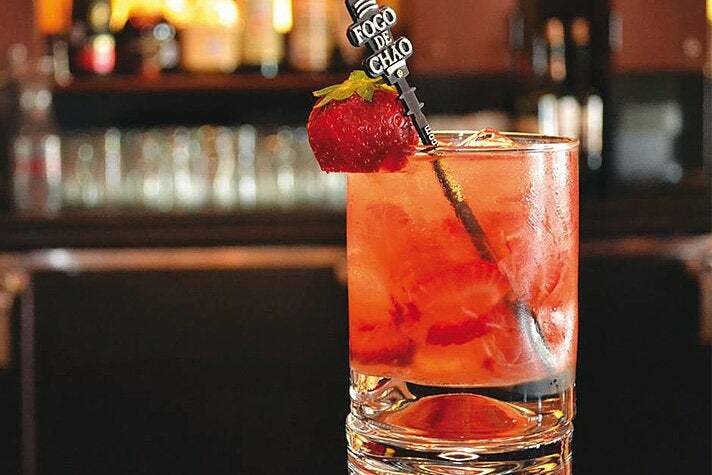 The national drink of Brazil, the caipirinha is showcased in two versions - the traditional (silver cachaça, limes and cane sugar) and the Strawberry Caipirinha with silver cachaça, fresh strawberries and cane sugar. Small plates are priced from $5-9 and include sliders with Fogo’s signature picanha (a prime cut of top sirloin), charcuterie board, warm hearts of palm and grilled beef tenderloin skewers with chimichurri salsa. 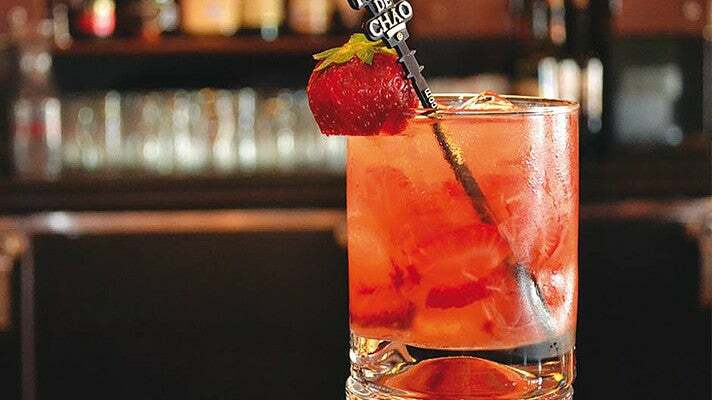 Fogo de Chão’s Happy Hour Week specials are only available in the bar area from 4:30-6:30 p.m. Located on 6th Street in the heart of Koreatown, HAUS by Coffee Hunter serves a menu of Korean and New American dishes, as well as its premium coffee and a variety of sweets from the dessert bar. HAUS is offering afternoon/evening and late night happy hours, from 5-7 p.m. and 11 p.m.-1 a.m. respectively. Drinks include the Snake Bite (Guinness and hard apple cider), Beer 1+1 (buy one, get one free) and a dineL.A. exclusive, the Coffee Hunter Espresso Cocktail. 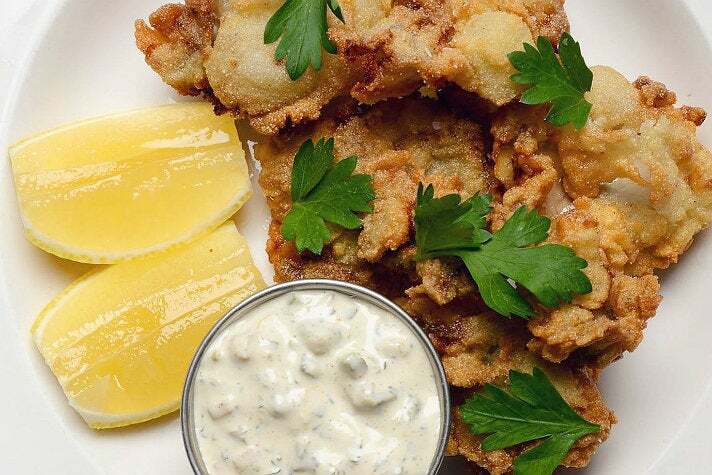 Starters include another exclusive, the kimchi bulgogi quesadilla, along with calamari rings and combo chicken wings with gochujang and lemon pepper. The Venice location of Komodo, which features Cal-Asian fusion dishes at two cafes and a food truck, is offering soju-spiked lemonade, $2 off beers and a special food menu from 4-7 p.m. Dishes include Nashville-inspired fried chicken wings, deep fried ox tails, and Lahaina Sliders - a trio of Hawaiian roll sliders with ground sirloin, cheddar, quail egg, caramelized onions, bacon and chipotle Thousand Island dressing. The Komodo food truck is teaming up with Now Boarding, the Mid-Century cocktail lounge in West Hollywood, to serve $2 tacos from 5-8 p.m. during Happy Hour Week. Tucked away on the second level of The Redbury Hotel in Hollywood, The Library is an indoor-outdoor lounge that features craft cocktails and a select menu of Mediterranean dishes from Cleo. The interior features book-lined walls, tufted leather armchairs and hardwood floors, which lead to a secluded outdoor courtyard overlooking Hollywood. The Library is offering its Social Hour on Wednesday and Friday of Happy Hour Week from 5-7 p.m. The selection of $8 cocktails includes: the classic Hemingway Daiquiri; specials like The Garbo (Hennessy VS Cognac, cardamom and orange peel-infused syrup, lemon, orange bitters, splash of prosecco); and the Vinebury (Absolut Vodka, St. Germain Elderflower Liqueur, crushed basil, cucumber, serrano, fresh lemon). The bar bites are priced from $3 to $7 and include a variety of kebabs, lamb shawarma, saffron rice and the Cleo Burger with feta frisée, Mediterranean salsa, cilantro and hummus aioli. At Petty Cash, chef Walter Manzke interprets street food classics with local, seasonal and sustainable ingredients, while keeping rooted in multi-generational tradition and technique. The restaurant’s urban design features hand-painted murals by acclaimed street artist RETNA, graffiti by Petty Cash’s kitchen staff, and a lively communal dining room centered around the showcase bar. For Happy Hour Week, Petty Cash is offering a $6 Margarita, a $5 “alcoholic agua fresca” and $4 Tecates. Happy hour bites include the new zucchini taco, mini al pastor or veggie nachos, and a $15 combo with two tacos and a 12 oz Tecate. Located adjacent to CUT in the Beverly Wilshire, Wolfgang Puck’s Sidebar is a sophisticated modern lounge that complements the legendary chef’s high end steakhouse. Priced at $12, signature happy hour cocktails include the Hello Kitty (Bacardi 151, passionfruit rum, passionfruit juice, orange juice, ginger, chile syrup) and Xiang Li aka "Fragrant Pear," made with Absolut Pear Vodka, Canton Ginger Liqueur, pear puree and lime juice. Happy hour bites include dry aged New York skewers, tandoori chicken skewers and house-made hot pastrami with dark rye and gruyere. Even though the tempura onion rings aren’t on the Happy Hour Week menu, don’t miss one of the best onion rings in L.A. SPiN Standard is L.A.'s first professional ping pong club, located on the second floor of The Standard, Downtown L.A. The sleek event venue features 11 custom designed table tennis tables on cushioned Olympic competition flooring. For its late night happy hour (9 p.m. to midnight), SPiN Standard is offering $4 PBRs, house and select beers for $6, and a “bartender’s choice” cocktail for $7. The menu of $8 bar bites includes jalapeño hush puppies, kurobuta pork belly banh mi, jidori chicken kale sliders and mini beef rolled tacos with "hangover sauce," guacamole and cotija. Mention "dineL.A." during late night Happy Hour Week and get 30 minutes of free ping pong. Located on Ventura Boulevard in Sherman Oaks, Tipple & Brine is a neighborhood oyster bar focused on using sustainable and seasonal ingredients in its menu of New American cuisine, craft cocktails, local beers and small production wines. Tipple & Brine is offering its Happy Hour Week menu Tuesday-Friday from 4:30-6:30 p.m. Drink options include $7 classic cocktails (Old Fashioned and Moscow Mule), $6 wines and a selection of $5 craft beers, including Golden Road Hef and Craftsman 1903. Oyster shooters (The Classic, The Refresher, The Spicy) are $5 each or $13 for a flight. Bar bites include oysters ($2 each, chef's choice), crispy oysters with sauce gribiche, mussels and fries, and mushroom toast.